The Tenants Information Service (TIS) is delighted to invite entries across eight categories for the TIS National Excellence Awards 2019: Inspire to achieve, in association with the Scottish Government. The awards recognise and celebrate housing organisations, staff, volunteers, tenants, residents, and community groups who are leading the way and making a difference within the Scottish social housing sector. Categories honour excellence in everything from, partnership working and scrutiny practice, to digital innovation and community regeneration. Hotly anticipated, the awards offer a seal of approval for the most outstanding work across the sector. Do you know of an organisation, individual, or group who is truly making a difference? For further information on each category and to submit your application, visit the TIS website at: www.tis.org.uk, email info@tis.org.uk, or call 0141 248 1242. Nominations close Friday 22 March 2019 at 12 noon. Finalists are selected by an expert and independent judging panel of representatives from across the sector. 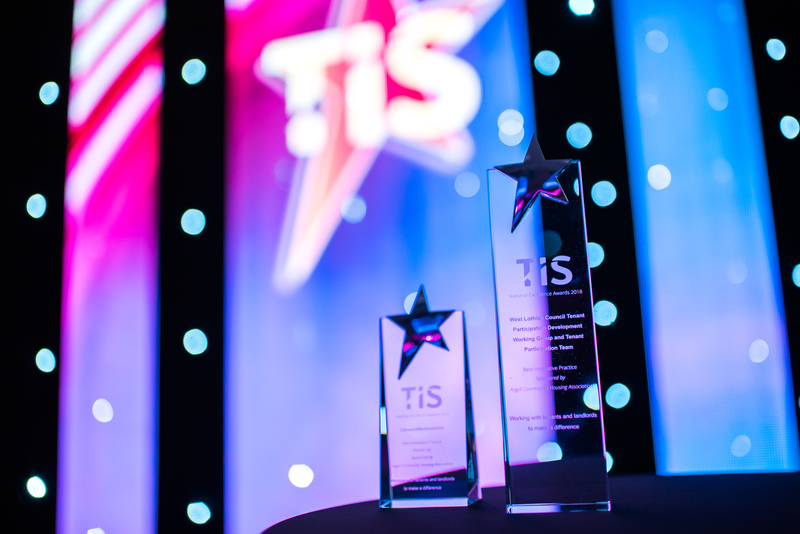 The awards will be presented on Saturday 15th June at the Doubletree by Hilton Westerwood Hotel and Resort as part of the TIS Annual Conference 2019 Gala Dinner.